This Halloween is great for center time. 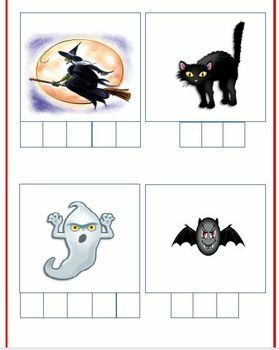 You can laminate each sheet and turn it into a file folder game. Students can use a dry erase marker and spell out the word to match the picture. Take the answers and glue them on the back so the center is self checking.